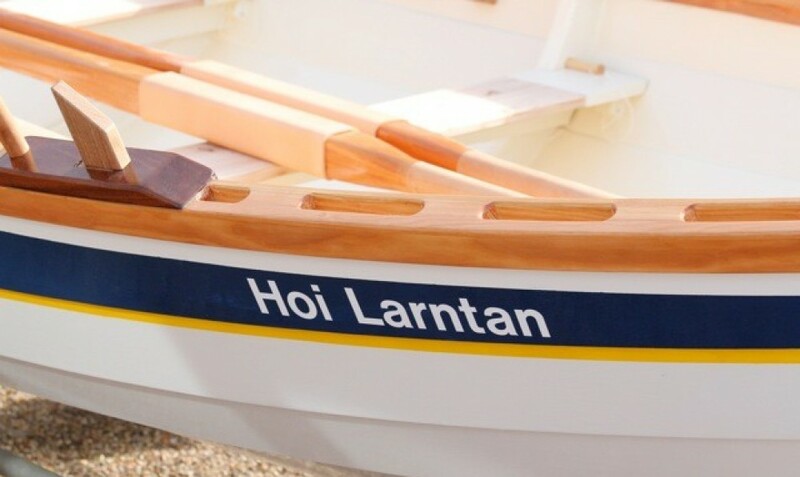 A crowd of some 60 plus (I am told now, it was nearer 160) friends and skiff-builders gathered at Blakeney Sailing Club as Hoi Larntan took to the waters of the Cut. A little sprinkling of single malt whisky helped her on her way. A few strokes to get a rhythm then away. Back for a crew change and out again. A great result after more than 750 hours work. 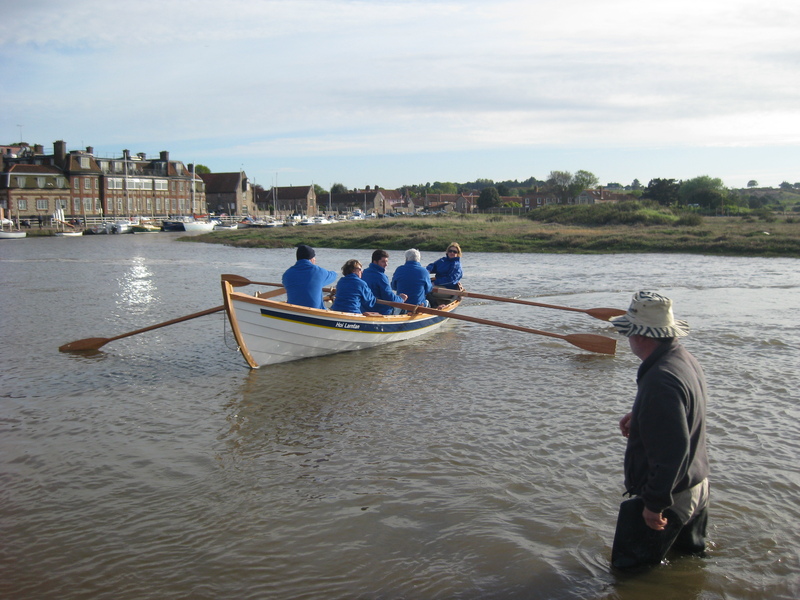 Forecast is good so due out again on the tide at 07:30 today, Sunday.